Voted one of Sacramento’s Top Business Lawyers by local attorney peers. Breach of contract cases are one of the most common types of lawsuits. 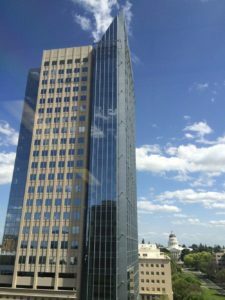 The Sacramento business law firm of Kassouni Law has substantial experience representing plaintiffs and defendants in contract dispute and breach of contract cases. Please call our Sacramento law offices if you have a legal matter of this nature to discuss your case with an seasoned business lawyer at 916-930-0030. Contracts are the foundation of our free enterprise system. They are necessary for virtually all business and real estate transactions. Contrary to popular belief, oral contracts are enforceable in a court of law. Certain contracts, however, must be in writing in order to be enforceable. For example, any contract relating to an interest in real property must be in writing pursuant to the statute of frauds. Some contracts, even if in writing, are void if they conflict with public policy. These include gambling contracts, and certain types of contracts that restrict an employee from working in a trade after employment ends (these are referred to as illegal non-competition contracts). There are also different remedies available to a plaintiff in a breach of contract/contract dispute case. The most common remedy is damages. However, in certain circumstances a plaintiff can obtain a remedy of specific performance. This means that the defendant will be required to perform his or her contractual obligation. For example, suppose you enter into a contract to purchase a house. In a very hot housing market, as was the case in 2003, the value of the house could have increased many thousands of dollars during the course of a 60 day escrow period. If the seller breached the contract by deciding not to go through with the sale, the buyer could go to court, or arbitration, to force the seller to complete the sale. This allows the buyer to obtain title to the property and obtain the benefit of the increase in the value of the property. A plaintiff can also have obligations, even though the defendant is the party that breached the contract. A common obligation is the duty to mitigate damages. For example, if a tenant agrees with a landlord to lease office space for twelve months, and stops paying after three months, the landlord is not automatically entitled to damages for nine months of rent. The landlord must attempt to find a new tenant. If the landlord finds a new tenant several months after the breach, the damages will be lessened. It is also very important to include an attorney’s fees provision in a contract. Without this provision, the plaintiff will have to pay his or her own legal fees even if the lawsuit is successful. Once a contract has been breached, you should consult with a breach of contract lawyer at a business law firm as soon as possible. Every attempt should be made to resolve the contract dispute without a lawsuit to minimize potential legal fees. If a lawsuit is necessary, it must be brought within the statute of limitations for a breach of contract. In California, this means a lawsuit needs to be filed within four years of the breach. If you have any business law or breach of contract related issues, please contact the Sacramento Business Law Firm of Kassouni Law, at 877-770-7379 for a consultation. Our business lawyer team will be pleased to assess your rights and remedies and help you form a plan of action to obtain positive results.